(Indian superheroes) Superheroes! The word is enough for us to instill a sense of excitement, amazement, and rightfulness. Be it Spider-Man beating The Green Goblin black and blue, or Superman fighting for justice, we all have our idols. As these characters were a result of creative thinking and years of hard work by legends like Stan Lee and Jerry Siegel, we turn our spotlights to India! And the name is enough to uplift your craving for something fantastic. Yes! We have our own Spider-Man! And it’s none other than Pavitr Prabhakar (aka Peter Parker, as we know it). 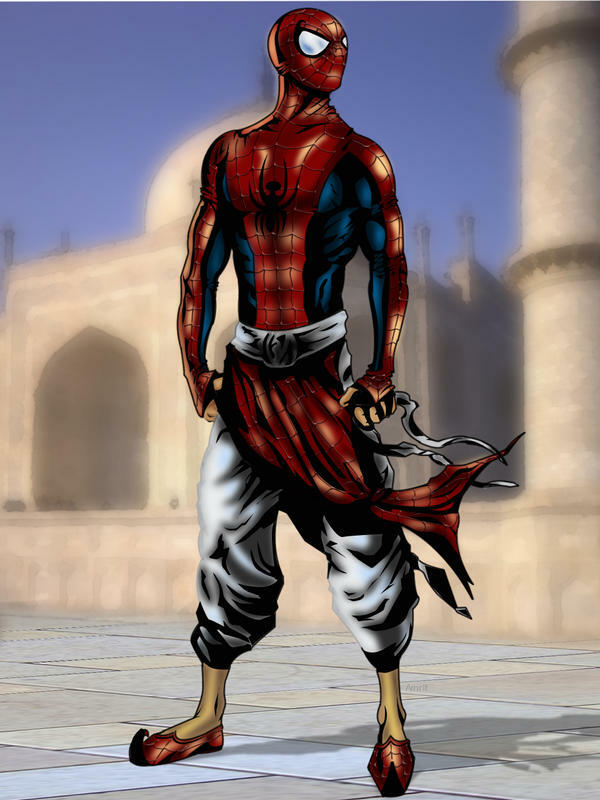 With a similar story, this Spider-Man is set in an Indian environment. Brought to India by Gotham Entertainment Group with Marvel Comics, it ran for four issues and is now a part of the Spider-Verse. Karima Shapandar, better known as Omega Sentinel, made her debut with X-Men by Marvel. With the background as an Indian police officer, she was converted to a sentinel in Calcutta. Her friend is Neal, who is also an X-Men by the name of Thunderbird. Maya is an Indian superhero from the Justice League Europe by DC Comics. With abilities to control fire and water, she has had some memorable appearances with the Wonder Woman and Robin. The incarnation of Vishnu, our beloved Lord Ram, is existent in the DC Universe. Rama is based on Ram from the Ramayana, and first made his appearance with Wonder Woman. They had a love interest between them too. The character possessed powers of Devi Kali, and the ability to go berserk for his own survival. Dharma aka Harry Chawney is one of the most important characters of the DC Universe as he could predict the apocalypse and would go extreme on fighting it. He has worked with the Justice League to cause the merger of Dakota verse and the DC Universe, causing a whole new community to be formed. A spot does not allow him to see how he shall contribute after the end of the universe, but it confirms his existence in a parallel universe where he might meet his doppelganger. The list is endless! We leave it to you for exploring many more superheroes making their mark on the foreign turfs.